Ernest Hemingway liked to mention the weather in his stories. And he was brilliant at describing the seasons such as this selection from “A Moveable Feast” exhibits. He was less prolific about aromas. However, other writers have left an impression on me by their descriptions of scent. Perhaps women are more inclined to notice delicate fragrances or to be slightly more offended than their male counterparts by off-putting odors. I am quite scent-sitive (sensitive to scent). My father will always smell like tobacco and English Leather. I am probably the only person who still thinks that scent is attractive. I kept his last bottle until it faded away. One whiff of lavender and I think of France, the scent of baking sugar cookies will transport me to my grandmother’s house, and too many floral notes will make me sick to my stomach – (funeral parlor association I suppose) – as will the antiseptic sharpness to hospitals. Before the rains rotted the flowers, I’d been enjoying the jasmine – pregnant with sweetness – that has taken over the trellis by my porch. Anybody sitting in the swing when it is blooming will be treated to a heavenly perfume that I can take no credit for. And it will be a different experience than it would be without the jasmine or with a different scent – horse manure for instance. A wet southern forest in August will be nearly pickling in a piquant intoxicating mixture of sour, sweet, savory, and winey. 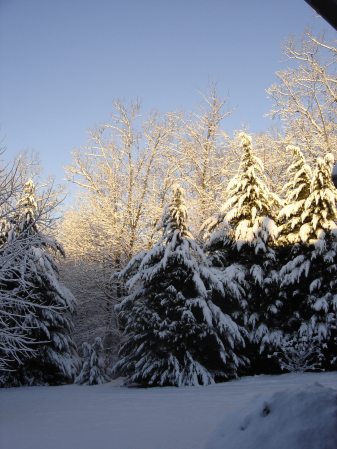 The same woodland will be crisp with clear hits of cedar and pine in the winter. Some friends of mine were working in Bangladesh a year ago. They sent lovely pictures around to all of us. When we commented on the river or the market our comments were usually followed by the caveat that it smelled a little less inviting than the pictures could attest to. Perhaps it is just me, but I can’t imagine writing anything without references at some point about the aromas that surround the characters. A nearby fish market, canal snaking through the village, bakery down the street, incense from the local church, livestock in the adjoining pasture, wildflowers, herbs, the Italian restaurant or Sushi bar, coconut-scented suntan lotion or…a trellis full of blooming jasmine. Are you scent-sitive? Do you associate certain times in your life or emotions with a particular aroma? Where do you rank fragrance and odor in setting the scene? “A Moveable Feast” waits in my bedside table, along with three newly-acquired small novels in French. Kindle takes up a small space but holds lots of reading. I don’t think I’ve ever thought about my scent-sitivity, but I am fairly conscious of them. Food (or, scent) for thought here. 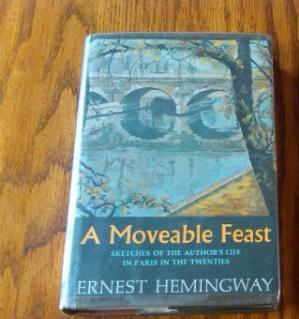 Janet recommended ‘A Moveable Feast’ to me before I read ‘The Paris Wife’. It was an eye opener for me as he displayed so much emotional awareness. I hadn’t really been a fan of his work until that book. I think you are going to love it. I can’t wait to hear your thoughts on it. I am extremely scent sensitive. Most of my good memories are linked to at least one aroma. Especially of my Mom. 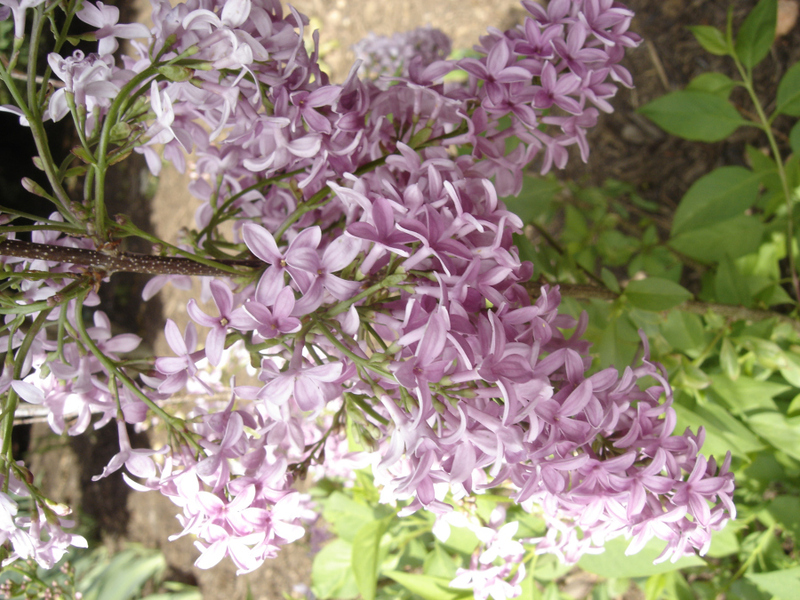 Lilac trees can bring me to tears. People tease me about being able to smell something “a mile away”, long before anyone else does. I have sniffed out a lot of bad odours in my time as well, including catching a fire before it lead to devastation. Scents link us to times past. But having a good ‘nose’ can definitely prevent troubles. I’m not sure my novel describes aroma much, but I did write about the weather on a few occasions. so I got it half right. Will remember this for the future though. After reading Hemingway’s insistence on the subject, I try to remember it as well. Hemingway is one of my faves. To grandson, I’m reading “Shiloh”, Phyllis Reynolds Naylor, and just finished “Tales of a Fourth Grade Nothing”, Judy Blume,…both of them incorporate weather and smells. In the latter, just the name “Fudge” denotes smelly as Peter tells us about his little brother in disgust. I love the image of you reading to your grandson. I bet you are a terrific ‘grandma’. I love that quote from Rilke. I really get a huge kick out of certain scents as they do conjure up very vivid memories of people I’ve lost. Whenever I inhale the sweet smell of lilacs, I think of my departed Gram. If I smell cinnamon I think of her as well. If I catch a whiff of tobacco, it’s my grandpa that comes to mind. Scent really does link us to people and places. It’s nice to think of our loved ones through aromas. Please do. I like a reblog. Strange. I tried to reply from my new iPad and it didn’t show up. Sigh. More stuff to figure out. This is a great subject. I don’t use scent near as much as I should in my writing. I often think about how I could describe certain smells that come my way. I find it very difficult to put that sense into words. I love this: “A wet southern forest in August will be nearly pickling in a piquant intoxicating mixture of sour, sweet, savory, and winey. The same woodland will be crisp with clear hits of cedar and pine in the winter. I’m trying to reply on kindle and that isn’t always easy either. Glad you liked my descriptions of an ever changing southern forest. Thanks for the quotes in your post. I use the senses a lot in my writing and especially smell. I in fact have a story called “The Odor” which is all about smells. That sounds interesting. Is there a place where we can read your story? I’ll link to it. I too read A Moveable Feast before reading A Paris Wife! Two of my favourite books. You make us think, Renee! I am very scents-itive. I remember writing once about my very first visit to New York City and its indellible scents. These days I write more about the smells of a hockey household, car and arena. 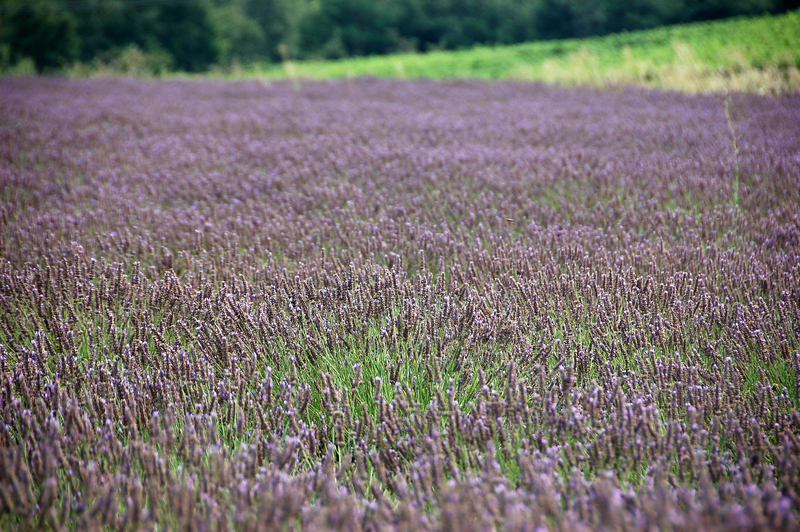 I must find more lavendar to write about! I had to laugh reading your comment as I too seemed to be hit with the aroma of New York on my first visit. I had forgotten about it, but found a postcard that I had sent to my mother describing the odors of the various boroughs in summer. And as a baseball mom, I know all too well the lingering scent of dirty socks and cleats full of dirt. We have a lot in common. Low tide. I grew up near the shore — a tidal beach where the water went out very far at the lowest tides. I think the scent permitted my childhood, but in a mud between my Rosen laughing running sort of way. We all love the smell of the beach. Somehow we try to recreate it but it is never the same – not in a candle, not in a room spray, not in potpourri. It is just its own special scent that defies recreation. I recall writing a description of Paris that had the line – she will always be pink and grey and smell of lavender and fresh pastries – or something to that effect. So whenever I smell it, I am transported to France which is never a bad thing. I often relate smells to places and times in my life. Our farm in Virginia has a smell that wafts through the valley. I’ve written about it before. But when you mentioned that you get used to fragrances, it reminded me how none of the residents there ever seem to notice it until I point it out. None of us have figured out what it is – grass, herb, flower? Strange isn’t it? I can’t remember who the author was, but she said —- “If I don’t insert a scent in every 2 or 3 pages of my story, I do so later. The sense of SMELL brings the story to Life! as for me, it brings me back to my childhood. Aromas do that to us – they are the real time machines, taking us to the places and people of our past. You couldn’t have picked a better book to quote. I love du Maurier, especially Rebecca. She definitely has a descriptive style that speaks volumes about the setting of her novels. Lovely. And, months ago when I found it was recorded on audio books, I checked it out of the library and I learned so much more by listening to the words being read. However, I was interrupted and didn’t get to finish all chapters. Plus, the movie is a great one to watch, too. What a great book and writer. What an evocative piece of writing, Renee. And I can’t even smell you. I have no idea whether I am more or less “scent sensitive” than other people – not having any way to compare my nose to someone else’s I’d say I am probably quite robust. Put me in a cow shed and I’ll be fine. However, as you and your commentators find: Scent can move me to a sentimental tear. A whiff – and I am transported back in time. Could wax lyrical about some of the quotes you cite and your own memories. 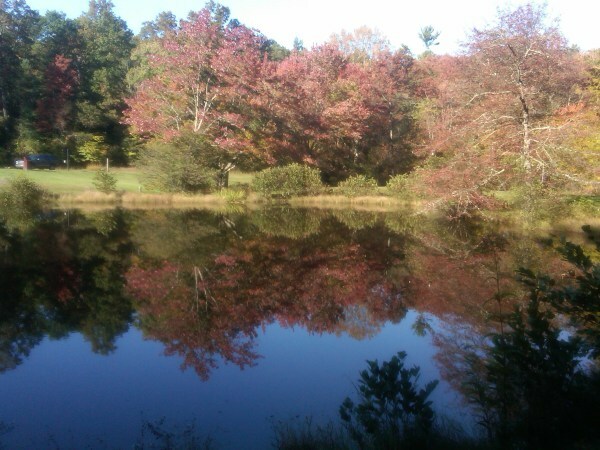 To keep it short: I love the scent of autumn (Rilke). Associate it with the end of the summer holidays, beginning of a new school year. Those fresh mornings. Love it. Love it. Love it. And I have been out of school for a long time. The quote that makes me grin is that of the male scent. Don’t know about your son. Told mine that there is no need to go rampant on deodorant when he has just had a shower. What strikes me, Renee, (see cowshed) that we appear to have become rather squeamish about (natural) smells. You can tell, can’t you: You have set me off on a trail of no return. Vinegar – the enemy of smell? That’s funny. Other than that: Hemingway, not necessarily content (Death in the Afternoon) but for his style, should be required reading for any aspiring writer. Thanks for walking along with me through this potpourri of aromatic descriptions. I think Hemingway would be pleased to find himself being discussed as a role model for aspiring writers. What a delightfully delectable post, Renee. Speaking of aromas, I liked your coining of the word, “scentsitive”. Indeed we get do get conditioned from our childhood to like or dislike certain smells. Could this be as certain memories, good or bad, get attached to these? Glad you like the new word. I definitely believe we bring events into our present lives through the power of aromas. Scent adds that extra layer don’t you think? I often find myself thinking of places as how they smelled. And sometimes the weather in my manuscripts will be influenced by the weather outside the door. Lately, it’s been experiencing a lot of rain storms. Isn’t that funny? Hi! I nominated you for The Loyal Reader and Wonderful Team Membership Awards. Please get the badges at http://wp.me/p32YrK-pv and get more info. Enjoy and have a great day! Thank you. I’ve been visiting the other sites you’ve honored as well. What a great collection of writers. I’m honored. Delicious writing! Smells are so very evocative of days past. Black Licorice brings me my Dad, Vanilla and Cinnamon my Grandmother, and fresh cut hay takes me to the ponies of my youth. Your writing is full of such riches as the ones you mentioned. Even the bowl of cherries on your table ‘smells’ like summer through your writing. I have a feeling you knew this hint already! And you’ve captured that so wonderfully in this comment. Thank you stopping by and adding to the conversation. I hope you’ll return. I love the description of your gardening experience. Hi Jodi. Thanks for dropping in and commenting. I’m so glad you found that this resonated with you. Renee – Seeing the crashing waves on your header immediately brings to mind not only the sights and sounds of Monterey Bay as I walked the beach with Tom all those years ago, but the clean clouds filled with promises of another heady day of discovering life in the many antique shops we might poke around in. The slight hint of cedar of an old hand stitched quilt folded neatly on a rack, cinamon in an open jar, oil being used to work on a buggy brought in earlier in the day. And at the end of the day, the fragrance given off by an open pit fire, enjoying stories and dinners with friends. Lovely! I think we can all experience your adventure through the wonderful telling and description of scents. Cedar and cinnamon are favorites. And an open pit fire…divine. I’m reaching for the marshmallows! Great post, Renee – and particularly your writing! Your writing is just great, transports me. I’m not sure I’ve read you so vibrantly before. Just excellent. The images helped too. Thanks Noelene. I think it might be the power of the scents that you are feeling so keenly, but I’m glad you enjoyed it. I feel your writing, Renee!! Truly, wonderful writing brings smell to being. It’s like time travel when you smell it, isn’t it? I’m sorry to hear about your friend, but it is nice that he left you with an image that pops into your mind when you catch a whiff of Brut33. “A wet southern forest in August will be nearly pickling in a piquant intoxicating mixture of sour, sweet, savory, and winey.” What a perfect sentence. Thank you Charles. I’m surrounded by forest, so I suppose it is inspiring. Well, everything has an up side I suppose. Thanks for the chuckle. Scents and aromas do make the story come to life. Makes us feel that we were there at the very moment and season the characters are experiencing. Wonderful post my friend. I would believe that most people have associations to various smells. I certainly have a whole range of aromas the bring me back to my childhood memories. Generally I think the use of all sense brings a story alive. It goes to the old say; don’t tell it, show it (or make us smell it…). What a wonderful post, Renee!! Love all these quotes. I have never ever thought how much important aromas are in the process of story telling. I am glad you could share it’s importance in such a beautiful way with us. Adds another layer doesn’t it? Renee, I am extremely scentsitive! Love that word! Scents bring back special memories, always. Like you, I associate certain aromas with loved ones. A whiff of Channel n.5 will forever remind me of my mother. Chocolate chip cookies make me think of fun times spent baking with my sister. And freshly cut grass…endless time spent outdoors with friends! Most definitely this is something writers should incorporate into their stories. Chocolate and Channel belong together. Love that image. I love quotes too. Thanks for visiting. What an interesting point; thanks to your comments I returned to the book I’m working on and added a line about the antiseptic smell of the operating room. Glad to be an inspiration. Keep writing. Especially the ones that mention coffee.